In the previous articles we touched on various topics, ranging from optimizing your market research, pinpointing your target market and finally how to maximize your online marketing efforts. Moreover, in this article we will discuss how using some specific traditional marketing efforts can play a big role in your marketing strategy. 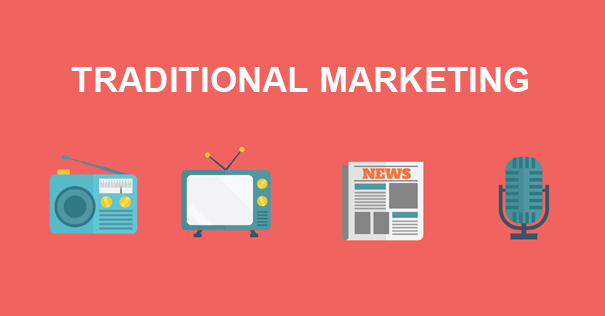 In many respects, traditional marketing efforts can be just as effective or even more effective than online marketing. Depending on your specific target market, traditional efforts can leave a stronger impression on your potential customers. For example, handing out a business card or tri-fold at a networking event not only puts your brand in front of a potential customer but it also allows them to put a face to your brand. Although attending networking events may not put you directly in front of your target market, more-often-than-not it can lead to some word of mouth referrals. Direct mail in most recent years, has begun to make a real strong comeback in some markets. Not only is it easier to understand but it has a higher tendency to influence the reader. Furthermore, there is a fair amount of research that indicates brand recall is significantly higher with direct mail, compared to other marketing methods. One way in which you can enhance your direct mail marketing efforts is to include something personalized within the content you are mailing out. In many cases, including a handwritten letter can grab the readers attention and create a more personalized feel to your content. Lastly, not enough can be said about simply picking up the phone and dialing. Although there is this perceived notion that cold callers are annoying or irritating. There is a great benefit in the fact that it is an actual conversation between two people and in that, it is a great way to create the foundation for a great working relationship. Furthermore, similar to direct mail marketing cold calling allows you to pinpoint particular clientele within your specified target market. Regardless of what type of marketing (traditional or online) avenue you are trying to use, it is imperative that both your brand imagery and message are clear and consistent. Additionally, it is important that both your traditional and online marketing material work in unison with each other. Whether you are creating a post for an online marketing campaign or passing out tri-folds at a networking event, your brand imagery should be consistent. Ensuring that there is consistency in your brand imagery can enhance your brand recall opportunities and allow your potential clientele to automatically associate certain designs/color schemes with your brand.